As the business grows, the network becomes more complex and the team that manages it faces immense pressure to reduce costs. While reactive cost-cutting is a huge priority, so is identifying proactive ways to reinvest the resulting savings in the agile initiatives of the future. 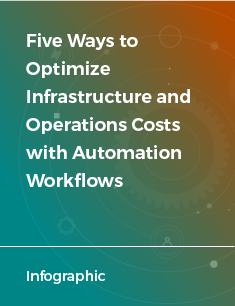 Automation workflows can streamline your business process and help you save big.